These are a must for slush product and smoothies.It has a spoon at the end. Jolly Rancher is a very popular and recognized brand though out The United States. 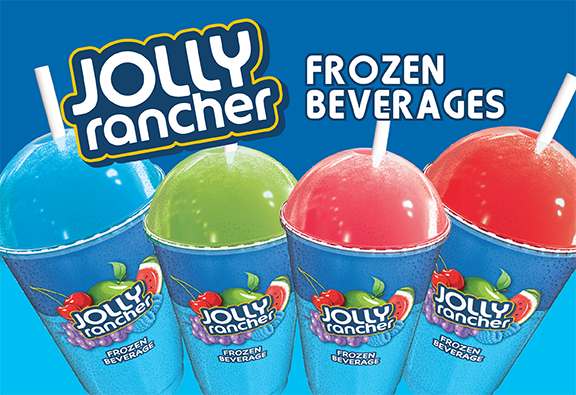 Jolly Rancher Frozen Beverage brand: Blue raspberry ,Fruit Punch,Strawberry,Watermelon, Mixing jugs and Sour Green Apple. The exciting new beverages are boldly flavored, less sweet, a little tart and intensely colored. Available for frozen, carbonated and non-carbonated applications, the syrups are packaged in shelf stable bags with a one-year shelf life.